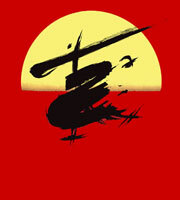 A tragedy of passion and beauty Miss Saigon is one of the most stunning theatrical spectacles of all time. Nominated for an incredible number of Olivier, Tony and Drama Desk Awards, Miss Saigon is the second massively successful offering from the creators of Les Misérables, Claude-Michel Schönberg and Alain Boublil. In the turmoil of the Vietnam War, Chris, an American soldier, and Kim, a Vietnamese girl, fall in love and marry but are distressingly separated when Saigon falls. Miss Saigon is a musical of massive proportions: passionate, profound, and heart-wrenchingly honest. With a sung-through score and tour-de-force roles for actors, Miss Saigon is a theatrical experience that will stay with you for years to come. Don’t miss this exciting new production from Packemin Productions and Riverside Theatres! An Audio Described performance is available on Saturday 5th August at 2pm. please note this production is not suitable for an audience under 13 years of age. Our friends across the Road at Novotel offer Riverside patrons a 20% discount on selected accommodation packages. Please click here to access your discounts. Riverside Theatres has an arrangement for patrons of the theatre for discounted accommodation at Novotel Sydney Parramatta – directly across the road. Spend the night in Parramatta – enjoy one of the many restaurants on Church Street’s Eat Street Precinct, shop til you drop at Westfield Parramatta, explore the many historical sites of the region and catch the fabulous new production of Miss Saigon! 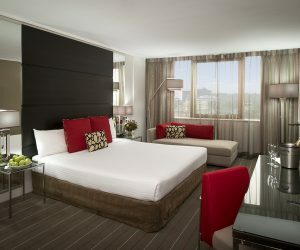 To book your accommodation at Novotel Sydney Parramatta and get your discount, click here.